Tadeusz Kosciuszko designed an impenetrable fortress at West Point during the American Revolutionary War. 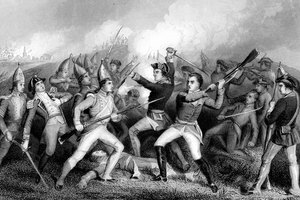 During the American Revolution, both the American and British sides were assisted by foreign troops and officers. French support for the Americans in terms of troops, equipment and finance played a decisive role in the war’s outcome. 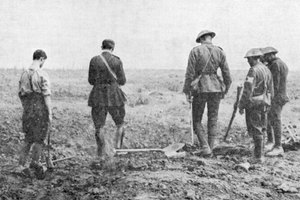 However, individual foreign officers played an important part in shaping the professionalism and sophistication of the American fighting forces. Born to an Anglican family in Ireland, Edward Hand trained in medicine and served in the British army in Pennsylvania between 1767 and 1774. In 1775, he joined the Continental Army in the rank of lieutenant colonel. Promoted to brigadier general, he fought the British and their Indian allies at Fort Pitt. 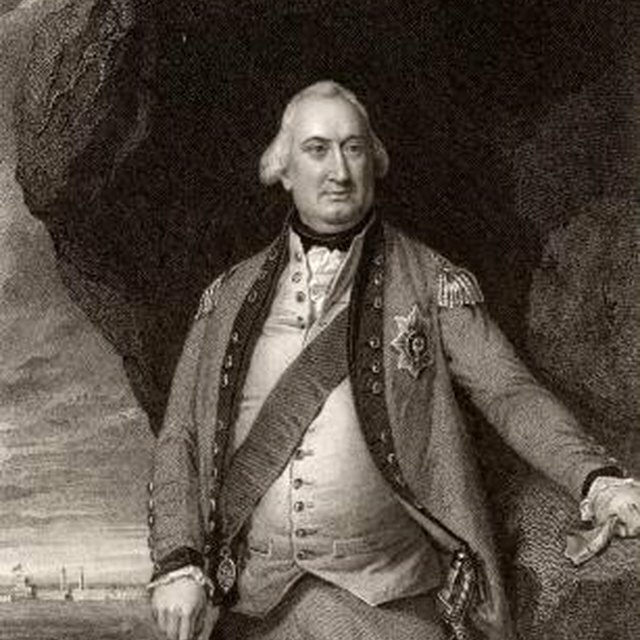 He was appointed adjutant general in 1781, working with George Washington at Mount Vernon and Williamsburg planning for the Battle of Yorktown where the British army surrendered. He resigned from the army in 1783 with the rank of major general and returned to medical practice and civic life in Lancaster, where he died in 1802. A nobleman and general in the French forces dispatched to North America to aid the Continental Army, Jean Baptiste Donatien de Vimeur, the Comte de Rochambeau, and his troops played a decisive role in the final stages of the Revolution. 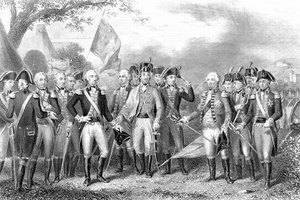 Rochambeau joined with George Washington in 1781 to fight against and defeat British forces at Yorktown. The French navy’s defeat of the British fleet off Virginia Capes was crucial to this victory. Rochambeau returned to France after the war, served as governor of Picardy and later commander the Army of the North. He survived the French revolutionary terror and died in 1807 in Thore, Western France. Descended from one of France’s wealthiest aristocratic families, Gilbert du Motier, the Marquis de Lafayette enlisted in the Continental Army without pay in 1777. Wounded that year at Brandywine, he commanded the Virginia light infantry, formed a strong bond with George Washington and took part in the final battle at Yorktown. After returning to France, he lost influence as the French Revolution radicalized. He fled into exile, was jailed in Belgium for five years and returned to France in 1830 when the monarchy was restored. He died in Paris four years later. Scion of a minor Polish gentry family from the eastern territories of the Polish-Lithuanian Commonwealth, Tadeusz (Thaddeus) Kosciuszko trained as a military engineer in the Royal Military Academy in Warsaw and later in France. He joined the American Revolution in 1776 as colonel of engineers. Kosciuszko designed the fortifications at Saratoga and later at West Point to secure the Hudson River. He achieved the rank of brigadier general. Kosciuszko forged a close friendship and long correspondence with Thomas Jefferson. On returning to Poland-Lithuania at the end of the war, he led a failed uprising against Russian tsarist forces in 1794, was imprisoned in St. Petersburg, Russia and died in exile in Switzerland in 1817. A Polish aristocrat born in Warsaw, Kazimierz (Casimir) Pulaski was a cavalry officer involved in a failed uprising by Polish nobility, the Bar Confederacy, against Russian interference in the Polish-Lithuanian Commonwealth. Exiled in Paris in 1776, he met Benjamin Franklin who recommended him to George Washington. Arriving in Philadelphia the following year, he eventually took command of Washington’s cavalry detachment, charging British lines at Warrants Tavern and Germantown. He commanded the Pulaski Legion, America’s first trained cavalry corps, in the rank of brigadier general. He was mortally wounded in 1779 at the Battle of Savannah. Born in Magdeburg, Prussia to a commoner family, Friedrich von Steuben was a captain in the Prussian army and later chamberlain at the Court of the Prince of Hohenzollern-Hechingen where he styled himself “Baron.” In 1777, he met Benjamin Franklin in Paris to offer his services to Continental Army. At Valley Forge he trained American troops in discipline, drill and battle readiness, especially with weapons and equipment. He established sanitation standards and prepared the first U.S. military manual. This training helped Americans defeat British troops at Monmouth County. 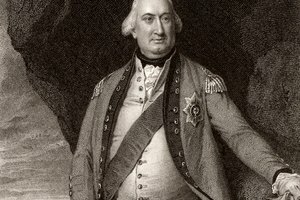 Von Steuben commanded the army supply center in Virginia in the rank of Major general and fought at Yorktown. After the war, he became an American citizen and died in 1794 in New York. Kielmas, Maria. "Famous Foreign Officers Who Served in the American Revolution." Synonym, https://classroom.synonym.com/famous-foreign-officers-served-american-revolution-12551.html. Accessed 25 April 2019.